Need to get rid of Millipedes? 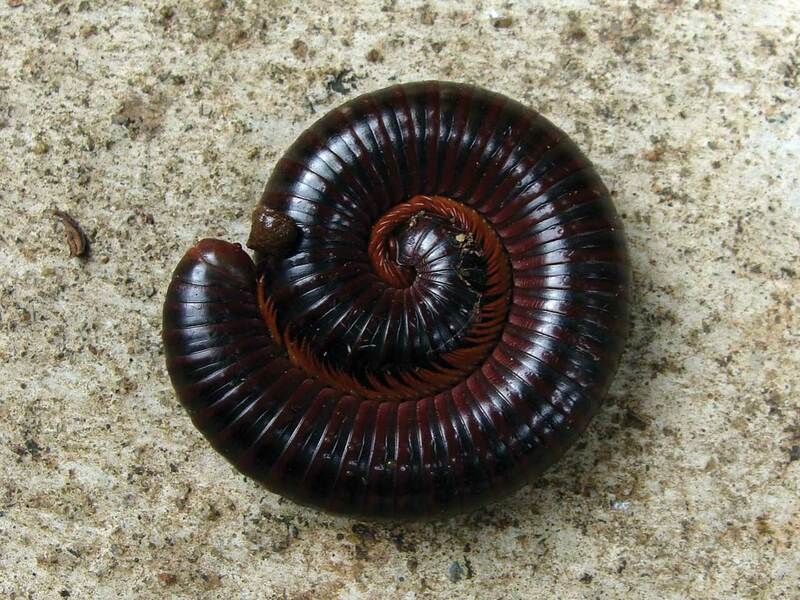 Millipedes normally live outdoors and feed on damp and decaying wood and vegetation, as well as on tender roots and green leaves on the ground. They are slow crawling, with rounded bodies with 2 pairs of legs on each body segment except for the first 3 that have one pair of legs on each segment. How to get rid of Millipedes? Control of millipedes involves removing their harborages and building them out. Leaf debris and general vegetation providing harborage should be removed. Elimination of heavy ground cover vegetation in landscaping near buildings is also recommended. Thatching the lawn and keeping the lawn mowed short is recommended. Watering of lawns and landscaping is best done during the morning, allowing drying over the course of the day. If these pests are entering in large numbers, exterior cracks should be sealed shut or treated. If you have an issue with millipedes and want additional information, please call our office for prevention and treatment options.